We had no idea when we embarked on our Year on the Edges of America how much the adventure would cost. Our previous vacations weren’t at all analogous. Typically one or two weeks in duration, they generally featured some combination of airfare, hotels, restaurants and car rentals. Extrapolating those costs across 52 weeks of travel in a 2009 Nissan Xterra and 2007 Casita travel trailer – complete with tiny kitchen and bathroom – didn’t seem apropos. For one thing, we weren’t planning to need any air travel, hotel lodging or car rentals on this journey. For another, the cost of those vacations doesn’t reflect overall real-life cost-of-living expenses. If we want to paint an accurate financial picture of life on the road, shouldn’t it include the cost of things like groceries, laundry, health insurance, website maintenance and trailer repairs? Judy and Tom are our travel gurus. They quit their jobs nearly five years ago, sold their house in Scottsdale and have been traveling the country full-time in their nifty Roadtrek van ever since. They set out with the goal of living on $60,000 a year, which is about the median household income in America. They’ve since expanded their annual budget to $65,000, as they explain on their blog, and it’s always touch-and-go whether they’ll come in under that self-imposed guideline. We hoped our annual expenses would fall somewhere in that ballpark, with some additional leeway given that – unlike Judy and Tom – we’re still paying taxes and maintenance on two brick-and-mortar homes. Expenses were of particular interest this particular year, our first as two retirees and no regular income. Our goal was to be frugal but not cheap, thrifty but not austere – and to have a grand time. It took awhile to add everything up, but after two weeks at home in Dallas we’ve totaled out our Year on the Edges of America expenses. According to Georges and his multiple spreadsheets, the whole experience came to $50,338 – less than the cost of a Ford F-150 King Ranch. Not bad for of 26,571 miles and 365 days of sea-to-sea beautiful scenery and fabulous fellowship across 43 states and provinces in three countries. His tally includes everything associated with living on the road – from gas and lodging to food, health insurance, gifts, a splurge weekend flight to New York to see a dear friend’s Broadway debut and even a four-figure lawyer’s fee for finalizing our wills and trust documents prior to departure. Layer in taxes and maintenance of our houses in Dallas and Tucson and the grand total is $74,291. To be honest, we were a bit surprised by the affordability of it all. Excluding our home costs, we managed to live for an entire year on less than what it costs to buy a snazzy pickup truck. This helps explain why such travel is so popular among Americans of all stripes. It doesn’t matter whether you’re traveling in an old beat-up camper or lounging in a state-of-the-art Airstream. The glory of a gorgeous new “patio view” each day is equally accessible. Having a chef for a husband also keeps the food costs down. We don’t eat in many restaurants, nor do we do take-out. Why pay somebody else to make our food when G does it better for less and enjoys himself in the process? He’s truly a master at creating five-star dining from a two-burner stove. And because G knows how to get the most out of every food item in our fridge and pantry bin, our grocery bills are impressively modest. We buy fresh, never frozen or canned. We make our own sandwiches, simmer our own sauces, sauté our own meat. We avoid most processed foods. We do all this mostly for taste and health reasons. These habits also help contain culinary costs. Lodging costs is another area we’re able to manage. 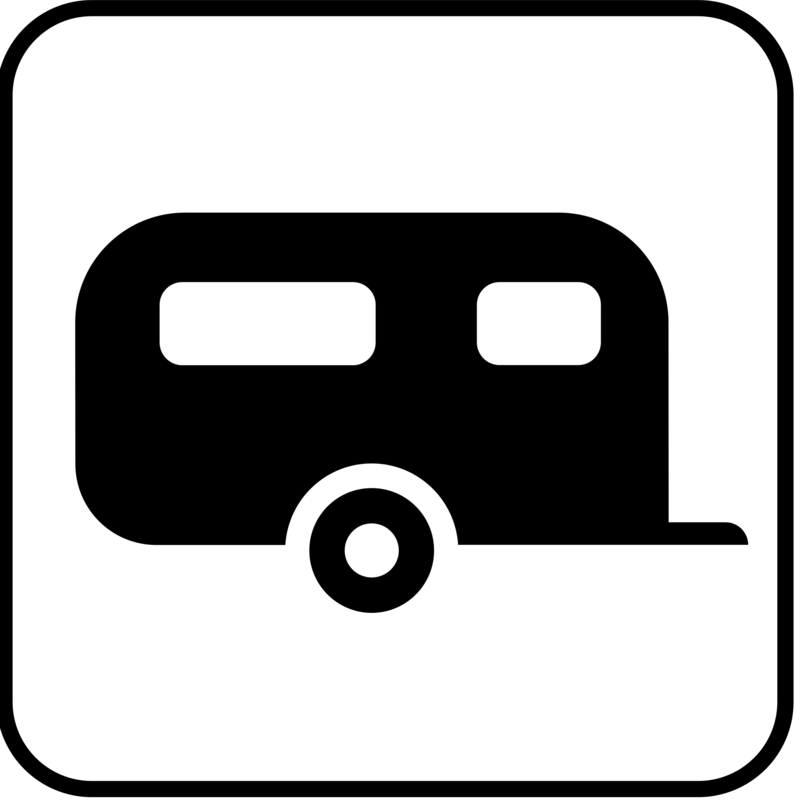 We quickly learned to steer clear of RV parks, which are often noisy and provide full hookups and other services we don’t really need (swimming pools and motor scooters for kids, Bingo and buffet breakfasts for seniors). They can run $100 a night. We prefer national and state parks, as well as national forest and Army Corps of Engineer campsites. These are generally more scenic, secluded and spiritual. State parks might run $15 to $30 a night; the others usually are closer to $5 to $15 a night with a senior pass. We paid $4.50 a night to share this view with Judy and Tom last month in the Chiricahua Mountains in southeastern Arizona. The ability to live without hookups is a big advantage. This is where the solar panels G installed on the roof of our Casita proved to be of such benefit. As long as the sun is shining, we can rely on our battery and propane tanks for all our energy needs. If we’re careful, we can go four days on our 25-gallon water tank. And then all we have to do is refill it, either by hose or jug-and-funnel, to cover our cooking, dishwashing, shower and bathroom needs. We quickly learned to navigate websites like freecampsites.net and membership organizations like Harvest Hosts, which direct you to off-the-beaten path campsites, farms and wineries that allow you to overnight for free. Here’s a shot of our precious camp spot at the Freedom Run Winery near Niagara Falls, New York from last July. We even enjoyed overnighting at a Walmart or Home Depot from time to time, rendezvous that are especially convenient whenever we need to restock supplies or make use of the free Wifi. All told, we paid for lodging just 157 nights of the year, or 43 percent of the time. We surprised ourselves by finding free lodging without much extra effort for the other 208 nights, or fully 57 percent of the time. We had no major car expenses along the way. Our trusty Xterra has served us well for 10 years, and we especially valued its selfless work ethic on this journey. G was meticulous about oil changes and tire rotations every few thousand miles. Our biggest trailer expenses were $134 in Door County, Wisconsin to replace and mount a new tire in August, $114 in North Bend, Oregon to repack the wheel bearings in September and $80 in Mobile, Alabama to replace the Casita battery last March. We switched communication carriers several months before we left Dallas, snagging a sweet deal aimed at seniors from T-Mobile that cut our former AT&T bill by more than half. We’ve been pleased with the change. Except for a handful of especially remote areas – the Everglades, for example, or certain parts of Maine or Montana – we had decent cell service most of the time. Entertainment isn’t a big category for us because our entertainment is our adventure. Who needs Goony Golf when you can climb a mountain, hike in the forest or bike on the beach? We took a sea-kayacking lesson in the Upper Peninsula of Michigan, took a couple city and Great Lakes tours, spent a day at the Williamsburg theme park in Virginia and went to two actual movie theaters (Bohemian Rhapsody in Laughlin, Nevada and Vice in Tucson). But museum admission fees and Kindle books probably made up the biggest share of this category. Gas expenses were all over the map. The most expensive gas of the year was $6.59 at Gorda, California along the scenic State Route 1 in Big Sur in October. Unfortunately, we were unnervingly low as we rolled into that particular one-station town dozens of miles from the nearest competitor. So we actually paid the highway-robbery rate to top off the tank just enough to get us to the next town with more competitive prices. The cheapest gas was $1.86 in Anthony on the border of New Mexico and Texas just last month. So enamored were we of the smoking-deal price that we doubled back to fill up a second time before leaving town – only to be rebuffed by the service station attendant who informed us the underground storage tanks had just run out. It’s amazing how often we’d see a 10-cent spread in per-gallon prices at gas stations just blocks from one another. For most of the trip, we paid between $3 and $4 a gallon. The only other transportation costs of note were the various ferries we took as we cruised the circumference of the country. Most of them involved transport of both the car and the trailer and were along the Gulf Coast and up the Atlantic seaboard. One of the best was northwest of Seattle, though, when we crossed the Salish Sea with the Casita – and Mom, who flew in from Dallas – to visit dear friends of more than half a century who now live on lovely Lopez Island. Health care costs were a surprise, not in a good way. We knew our health-insurance costs would go up when I retired and my (former) company would no longer be paying half of the premiums. But we still experienced sticker shock. What had been a largely an invisible cost (because it was automatically deducted from my paycheck) smacked us in the face when we had to start writing checks for the full amount each month. Our only actual health care costs all year were two relatively inexpensive prescriptions and two dental exams totaling about $200. We’re thankful to be so healthy. The miscellaneous category also ballooned more than expected. To be honest, it became a bit of a careless catch-all. If we had it to do over, we’d set up the categories a bit differently for greater precision. The miscellaneous line includes the one-time lawyer fee mentioned above, various gifts and some clothes purchases. G bought two pairs of shoes and half dozen shirts, for example. I bought three summer dresses in the South when it was hot last spring and two pairs of jeans when it was chilly in Arizona in the winter. So what did we learn from all this green-eyeshade examination? First, that extended travel like this is surprisingly affordable. It’s one of the few truly egalitarian ways to see the country. You don’t have to pay more to get better seats; sometimes the least-heralded campsites boast the best views. Some people spend more on a fancy dinners at exclusive restaurants each day than we did circumnavigating the entire country. Second, you can control most of your expenses. It doesn’t take much extra effort to ferret out a $5 forest service campsite or a free-with-the-purchase-of-a-bottle-of-wine vineyard to overnight in. Third, this sort of self-paced, on-the-ground travel is a great way to meet fascinating people. We’ve already visited friends we met camping in Sanibel, Florida in April, for example, in their home in northern Quebec. It’s also a wonderful way to deepen already-established friendships and see parts of the country through the eyes of people who know the area best. Fourth, this sort of make-it-up-as-you-go-along travel is just plain fun. We enjoyed it so much that after a two-week breather at home in Dallas we’re already off on the first of two quick follow-up Casita trips to knock off the last three presidential libraries and last seven of the Lower 48 states. Fifth and finally is the recognition that the last year has truly been the experience of a lifetime. We wouldn’t trade our Year on the Edges of America for a Ford F-150 King Ranch – or anything else. UPDATED at 2:50 pm EST to correct reference to typical gas prices. Ha, so glad to hear from you, Colin! Should have known. The video with you and G making guacamole in your kitchen last March is the second-most viewed video on the blog! Hope to see you again sometime soon…. Thank you for such a warm email! (So sorry not to recognize your email address – help please!) We’ve another couple blog posts coming …. And yes, we do hope to get to Europe later this year…! What fun to read about your travels. My husband and I took 3 months from mid-May to mid-Aug to cover the top part of the country, 11,000 miles. We didn’t keep track of our costs but since our trip was a lot like yours, staying in state & Nat’l parks plus friends driveways and free spots aided by our solar panels and propane tanks – I imagine our fuel costs were higher tho – we drive a thirsty F350 4×4 diesel with a cab-over camper. Your adventure sound cool! Where did you start from? So glad you enjoyed the blog post! So glad. Highly recommend it! Interesting blog. My takeaway- have a finger on what you can afford and then have every other body part on full throttle for living life to the fullest. That’s a good way to think of it! Very interesting analysis of the entire adventure. We were thrilled you spent your next to the last night of the trip in our driveway. It was fun catching up with you guys. Come back anytime. Thanks, Kirk. Great to be with you and Sue! Such an amazing trip you’ve been on, Keven and Georges, and such a deal! We’re so glad we got to travel along with you for all these many miles through your blog, and especially value the memories of Ev, you and George with us on Lopez! I’m waiting hto hear what you two will do next! We just visited the new Legacy Museum and the Memorial for Peace and Justice in Montgomery. Not sure if Montgomery is on your route from Atlanta, but wow, what a powerful experience. Thanks, Linda. That’s a great suggestion. We are just departing the Carter Presidential Museum and Library in Atlanta and heading northeast from there. We will add your suggestion to our bucket list for another time. I’m so glad to see another post! And a grand one it is. I love reading about the behind-the-scenes look at your adventure. Great story!! . . . ‘Weight Management Hell’ has some possibilities as a book title. . .And, how much did you guys spend on wine? Amazing and so so fun and what wonderful memories. So thankful to have been able to “go along with you” as you travelled. Glad you have some home time too. Be safe. Fascinating reading!! Such detail. Really interesting and informative. What an adventure! We were so lucky to meet you last year as you passed through FL (&thrilled to see us included in the photo of friends you posted here😘). Your journey has inspired us in many ways & we will always turn to your detailed log in planning travel in the future. We truly hope our paths cross again as we all explore this beautiful country! God bless you our new friends! Thank you, Ann. We feel exactly the same about meeting you and Marty! Thank goodness Pam and Gerry have such wonderful friends and generous spirit. Glad you like the blog. Hopefully, we can get together again sometime. When are you in Fla/Chicago??? Ever get to Texas?